Among these privileges – the attorney client privilege underlies another of the most sacred buttresses the constitutional rights that exists in American jurisprudence – the privilege against self-incrimination under the 5th Amendment. Without the right to confidentiality with their clients – Colorado criminal defense lawyers could function – clients could not trust them – and it would be impossible for the client to be completely honest with their criminal defense lawyer since they could never tell their lawyer the full story – the whole truth or fear that it could later be used against the accused. Whether lawyer- client conferences are recorded and – or monitored or not always clear. While it IS clear under Colorado law – that lawyer client phone conferences cannot be used against the accused in a criminal trial – the “accidental” listening in by jail personnel makes it very possible that the prosecutor’s office could be tipped off as to strategy and background information they would not otherwise have been privy to – thus gaining a head start on weaknesses in their own case and learning about the strengths of the defense case. If an individual is in custody and needs to speak to his or her lawyer – it is sound advice never to assume that the call is not being monitored. While it may seem safe to assume that confidential statements between a client and their lawyer are private, and that attorney-client privilege is respected – it never hurts to check with jail personnel to make certain the assumption is correct. Furthermore – the experienced Colorado criminal defense lawyer should make certain – even where the prosecutor has reasons to believe the conversations are admissible at trial – that the DA subpoena the relevant jail calls – as is now required by defense lawyers, and motion the Judge to review the calls in private (in camera) before they can be released to the DA. It is important to note that the only exception to the attorney-client privilege is a situation where a client is conspiring with his lawyer to commit a crime or where the client intends to – and discloses to his or her lawyer – a plan to commit a new crime in the future. Today’s digital telephone technology has resulted in the instant access to ALL phone calls made to and from our jails and prisons. 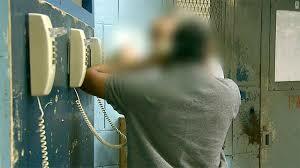 Calls can be sorted by inmate – by time and date. While lawyer client communications are essential – more important is the sanctity of the those conversations. Conclusion – Unless Colorado criminal defense lawyers can be assured that their conversations are completely confidential – they should only communicate with their clients in person – in court or at the jail.